During the Japanese occupation of Korea in 1928, young Tatsuo (later played by Joe Odagiri) arrives with his parents in Seoul where Tatsuo's grandfather is stationed as an army official. On his arrival at his grandfather's house, Tatsuo meets a young Korean boy named Joon-Sik (later played by Jang Dong-Gun). Joon-Sik, his younger sister and his father all work and reside in the Japanese official's home. Young Tatsuo and Joon-Sik both enjoy running and have competed since as marathon runners. As high school students, Tatsuo wins a marathon race. To celebrate Tatsuo's victory, a party is held at his grandfather's home. Joon-Sik and his family serve food during the party. A man then hands a small box to Joon-Sik's father instructing him to give the box as a present to Tatsuo. Joon-Sik's father then hands the present to Tatsuo in front of all the guests. Tatsuo opens the box and takes out a small doll like present. A clicking sound is then heard. Tatsuo's grandfather suddenly grabs the doll and dives on top of it. A violent explosion then occurs. Tatsuo's grandfather dies from the explosion and Joon-Sik's father is taken away by the police. Joon-Sik's father is released by the police, but not as the same man as he was before. He was severely beaten and is now crippled. Joon-Sik and his family are kicked out of Tatsuo's home. Tatsuo also points a sword at Joon-Sik and warns him to never cross his path again. Time passes and Joon-Sik supports his family by working as a rickshaw runner. A qualifying marathon race is about to be held for the upcoming Olympics, but Koreans are not allowed to participate. A press conference is held for the qualifying match with Tatsuo in attendance. Korean marathon runner Son Ki-Jung, winner from the Berlin Olympics, crashes the press conference and demands that Korean runners be allowed to compete in the qualifying race. Son Ki-Jung made it to the press conference with the help of Joon-Sik, who ran through the streets at incredible speeds with Son Ki-Jung riding in his rickshaw. During the press conference Joon-Sik asks to take part in the match. 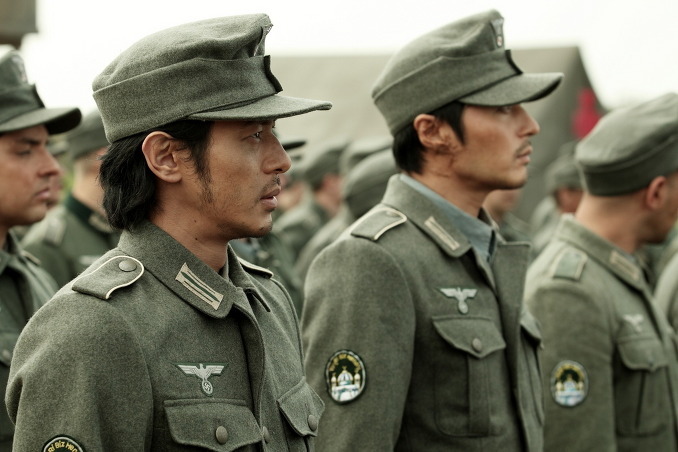 Meanwhile, Tatsuo grew up under the influence of his military officer grandfather. Tatsuo is extremely loyal to the Japanese Emperor and willing to die for his country, but Tatsuo's father is different. Tatsuo's father is a doctor and believes human life is more important than war. Tatsuo's father wanted Tatsuo to follow in his footsteps and become a doctor, but Tatsuo refused. Son Ki-Jung then arrives at Joon-Sik's home and gives him the good news that he is allowed to take part in the Olympic qualifying match. The race takes place with a large attendance. Koreans and Japanese stand by cheering on their favorite runners. Towards the finish line, Tatsuo holds a slim lead over Joon-Sik, but is overtaken prior to crossing the finish line by Joon-Sik. Yet, the announcer declares Tatsuo as the winner. Joon-Sik protests in front of the marathon director, but is beaten by nearby guards. A riot quickly ensues. The Koreans that riot against the Japanese guards are then arrested. The arrested Koreans, including Joon-Sik, learn that they are now conscripted into the Japanese army as their punishment. Filming began October 15, 2010 in Saemangeum, South Korea. 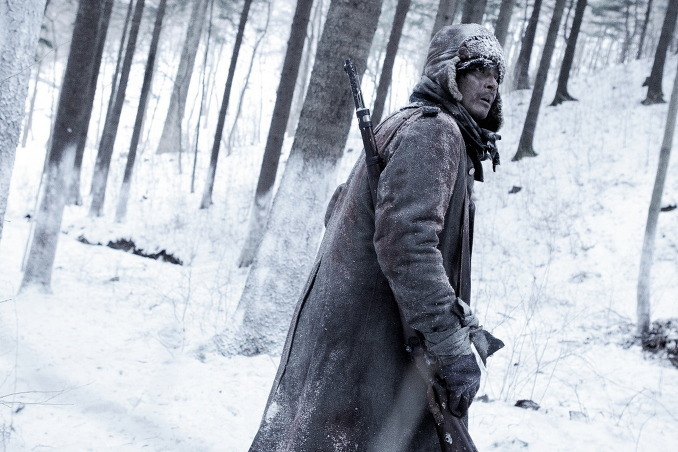 Shooting locations will take place in South Korea, China, France, Russia and Latvia. Movie budget is 28 billion Won ($25 million). Actress Son Ye-Jin was originally cast as the main female lead Yeon-Hee, but due to scenario changes dropped out of the movie prior to filming. As of January 13th, 2011 - "My Way" has completed 40% of its shooting and is on track for a December 2011 release date in Korea. Filming finished June 12, 2011 in the country of Latvia. 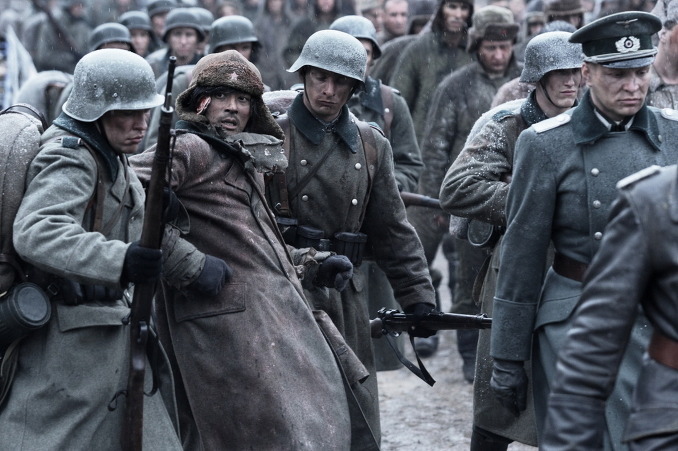 The final scene filmed was a fierce battle set during the Battle of Normandy. "My Way" opened in Japan, January 14, 2012. During its opening weekend, "My Way" came in #3 selling 71,644 tickets for a gross profit of 85,266,600 yen ($1.1 million USD). Press conference for "My Way" took place at the 2011 Busan International Film Festival on October 8, 2011. Appearing as speakers are Japanese actor Joe Odagiri, Chinese actress Fan Bingbing, Korean actor Jang Dong-Gun & Korean director Kang Je-Gyu. AsianWiki editor Ki Mun was there and transcribed/translated the session. Press Question: For director Kang Je-Gyu why did you pick this movie? Kang Je-Gyu: I received the original scenario 4 years ago. I then watched a 3 episode SBS documentary on the same subject which made me unable to sleep. So, roughly 2 and a half years ago I made the decision to direct the movie myself. Press Question: Why did you pick the title “My Way,” which is also the title of a very famous song? Kang Je-Gyu: The way I walk, we walk .. the movie is about a marathon and a dream. The meaning of the title represents the way Joon-Sik walks and the way we walk. Even though many people were against “My Way” as the title I love the title. Press Question: Could you introduce your characters? Jang Dong-Gun: My character is a young Korean man named Joon-Sik who dreams of becoming the 2nd coming of Olympic runner Son Gi-Jung. By unforeseen incidents, he is forcibly conscripted into the Japanese military and into World War II. Joon-Sik is the same from beginning to the end. He never loses his dream while he goes through many hardships. I hope people become encouraged by Joon-Sik. Fan Bingbing: My character is a female Chinese solider. Before filming began, the director told me she is sharpshooter. I was happy to work with Jang Dong-Gun and Joe Odagiri. In the movie I play a female solider with strength. Joe Odagiri: Simply put, Tatsuo is the man who is next to Joon-Sik. Joon-Sik's character is to achieve his dreams no matter what. Tatsuo is more introspective and grows by the various things that happens. He grows up and goes through a lot of changes. Press Question: In general, what’s the size of the movie’s budget? Also, what’s the percentage of fiction and nonfiction in the screenplay? Kang Je-Gyu: 80% of the budget came from Korean companies SK and CJ,10% from China and 10% from venture financing companies. In general, production cost was about 28,000,000,000 Won ($25-$28 million USD). The structure of Joon-Sik’s journey is non-fiction. The marathon element is fiction. The story has a combination of fiction and nonfiction elements. Press Question: In the past, the 3 countries of Korea, Japan and China have gone through painful relationships. When you made this movie, how were you able to walk the fine line of not causing more pain? Kang Je-Gyu: This movie doesn’t dramatize who are the offenders and who are the victims. The story is about one human being who doesn’t let go of his dream even though he is caught in World War II. Because of his dream there is forgiveness and understanding. The movie is basically a human story. 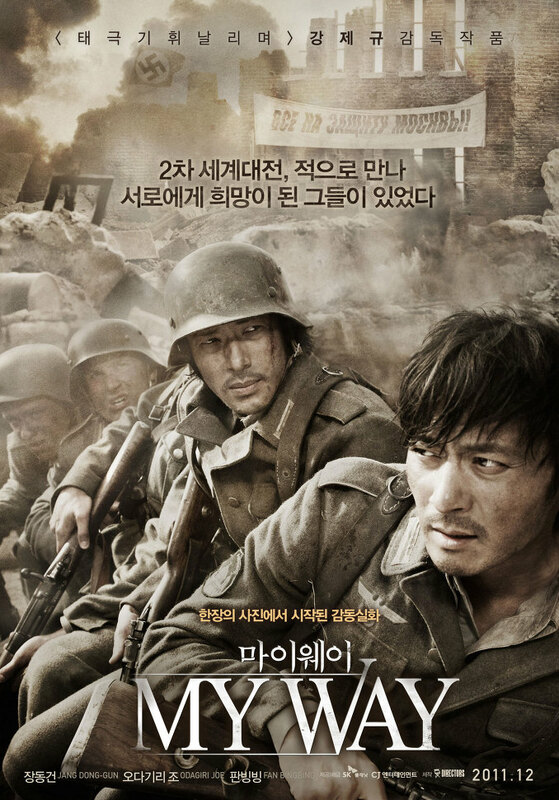 Press Question: It's been 7 years since you worked with director Kang Je-Gyu in the movie “Taegukgi.” Compare your time shooting “Taegukgi” with “My Way” and were there any differences? Jang Dong-Gun: I think Kang Je-Gyu keeps getting younger. 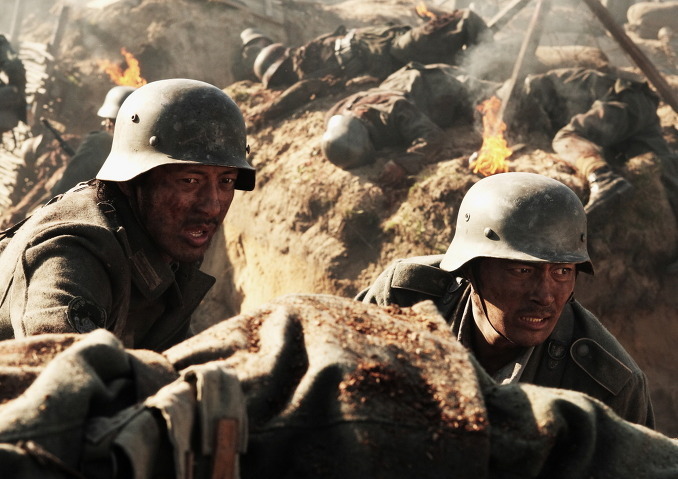 After “Taegukgi,” I thought I couldn’t do another war movie and wouldn’t do another war movie. What else could be said about war? Then, about 3 years ago, Kang Je-Gyu told me about a documentary and a potential movie from that material. At that time, he wasn’t sure if he would direct the movie himself. I hesitated to take part in the film. When I learned Kang Je-Gyu would direct the movie then my decision came easily. Press Question: You worked with two handsome men. Give your thoughts about them and who is closer to your ideal male figure? Fan Bingbing: In reality, they are both chic and like you see in their movies they both have charisma. Both are close to my ideal figure so I can’t choose. Press Question: Joe Odagiri you have worked with Lee Na-Young in the movie “Dream,” with Bae Doo-Na in the movie “Air Doll” and now Jang Dong-Gun in “My Way.” Any particular reasons why you have worked with these Korean actors? Joe Odagiri: Korean food is delicious. Korean people have good personalities and it only takes about 2 hours to get here from Japan. Those things make it perfect for me to work with Koreans. Korean movies are also big in scale. Korean movies have things that Japanese movies do not have. Every time I have worked here I have enjoyed my time. Press Question: Were there any difficulties for you as an actress while shooting action and war scenes? Fan Bingbing: It was hard. In particular, there are a lots of gun battles and explosions. I was scared a lot at first. As time went by, and watching Jang Dong-Gun & Joe Odagiri work without fear, I thought I shouldn’t be afraid either. 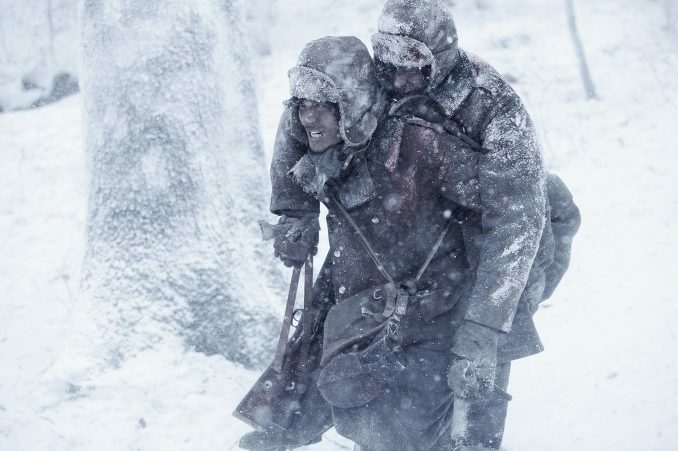 Shooting took place in extremely cold weather. I thought I had to put up with the cold weather. While shooting this movie, I learned the Korean word “pigonhaeyo?” (“tired?”). Filming occurred late at night and sometimes I felt exhausted. Every day, Jang Dong-Gun would ask me “pigonhaeyo?” Because of this I learned the Korean word “ahn pigonhaeyo” (“not tired”). During the difficult circumstances I felt good that they treated me well. I thought director Kang Ke-Gyu treated the actors and actresses well and he is a director who protects the actors and actresses. Many actors and actresses in China told me they envied me. Even though it was difficult work I feel it was worth it. Press Question: To the director, would you evaluate the three main performers? 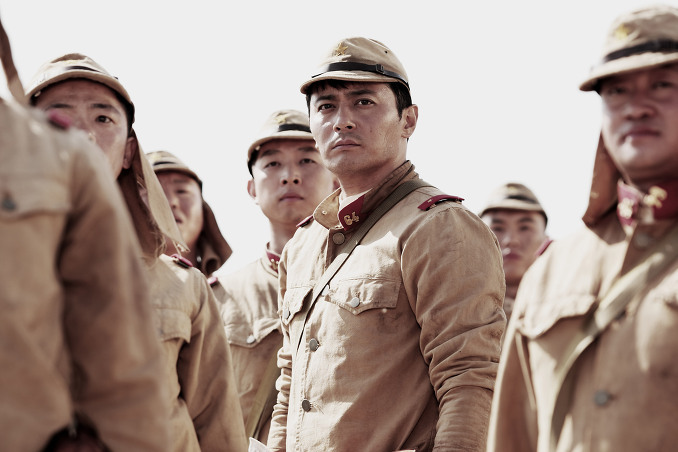 Also, since “Taegukgi” Jang Dong-Gun has always taken strong characters. Do you feel burdened being fixed to the strong image type? Kang Je-Gyu: In this type of movie if the actors are not aggressive it is hard to make the movie. I felt they all did well in their roles and put out 120% effort. Jang Dong-Gun: I don’t intend to seek out strong characters. I think it is fun to express strong emotions as an actor. I’m not afraid of my image being fixed to a similar image, but I would like to play a character who takes part in ordinary daily life. Press Question: Any memorable episodes during filming and what were your initial impressions of each other? Joe Odagiri: Filming took about 10 months. There are many memorable episodes. I will mention one funny incident. We were to film on a snow covered mountain. The scene involved knocking down a tree. For that scene an actual woodcutter was called in to prepare the tree for us. Before anybody noticed, the woodcutter had completely knocked down the tree. That was funny. Impressions. Handsome actor and beautiful actress who represent their countries. Jang Dong-Gun is kind and a leader type, who leads on the filming set. Bingbing Fan appers in a Oolong Tea commercial in Japan. In the commercial she devours the tea and I thought she looked attractive. 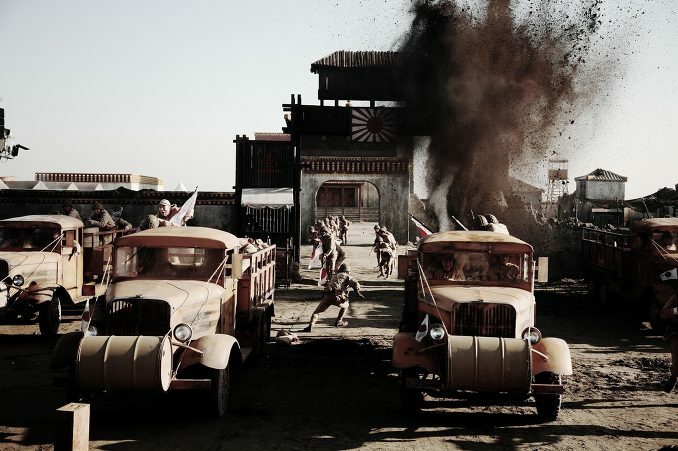 Press Question: There are lots of battle scenes, explosions and marathon scenes. That must have been difficult? Also, what are your impressions of acting together? Jang Dong-Gun: I already had experience in a war movie, so before filming began, actors, including Kim In-Kwon, asked me about bombing scenes & gun battles. I told them about my previous experiences. But, it turned out on the filming set for “My Way,” I was the one who was startled. The firepower and explosions were much powerful than I expected. I could tell from that it was different from Taegukgi. Technology also progressed. But, no matter the size of the battle, in front of the camera an actor has to recognize the situation and concentrate. Have to remember the location of the bomb and pay attention mentally and physically. For the marathon scene, before the shooting began I learned how to run for a marathon and practiced. The longest I ran was 8 kilometers. 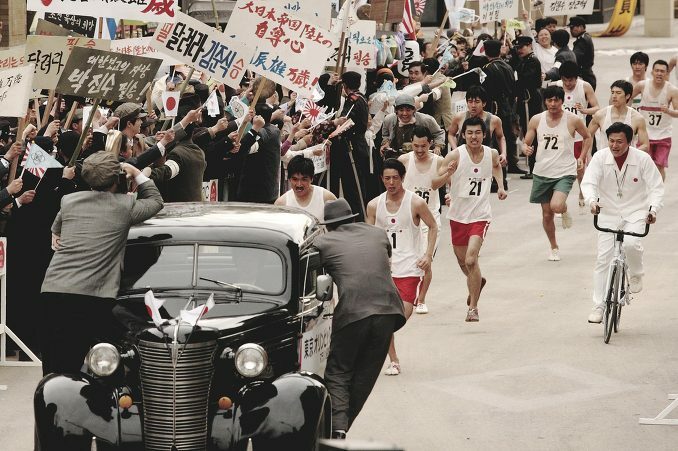 Joe Odagiri actually ran in a marathon in Japan. The scenes with Joe Odagiri I used Japanese mostly. I practiced a lot to deliver emotions in Japanese and Joe Odagiri helped me a lot. Joe Odagiri is an actor who thinks deeply and has firm thoughts as an actor ... so we are on the same wavelength. Joe Odagiri: About running in a marathon. I tried running and I liked it. So I participated in a marathon. Running in a marathon is good for your health so I think I’ll continue to do that into the future. About Jang Dong-Gun. As you know Jang Dong-Gun is a good actor. While acting together I could tell he was also considerate. I felt we understood each other well. If I were a woman I would have a crush on him. Actually, as a man, I felt enough to have a crush on Jang Dong-Gun. I think, same as Jang Dong-Gun, that the language thing was no problem. Press Question: “My Way’ has held a press conference at Cannes and cast actors from South Korea, China and Japan. The movie is being released in South Korea and Japan at the same time. Tell us about the prospects for the international market. Question for Jang Dong-Gun. I think from some of your recent and future work, you have aspirations for working internationally? For the actors and actress were there any dangerous moments while filming? Kang Je-Gyu: “My Way” will be released in South Korea in late 2011 and January 14, 2012 in Japan. The release dates for China and America are still being decided. It might be late January, 2012. Unlike other movies, “My Way” will be distributed directly. We’ll combine efforts to distribute directly to those markets. For other areas and in Europe, decisions will come out soon. Jang Dong-Gun: I don’t intend or have a specific strategy. I pick films I like and that is what it is. It might be a personal tendency that I am interested in certain titles. Fan Bingbing: In the movie, every scene was dangerous while shooting. Fortunately, actors, director and staff took great care and we were able to finish safely. Joe Odagiri: For me the most dangerous moment is the fight scene between myself and Jang Dong-Gun. At one point, my fist hit Jang Dong-Gun in the face. When that happened I was frightened. I thought if I injure Jang Dong-Gun, who represents Korea, I might not be able to enter South Korea again or it might have international repercussions. 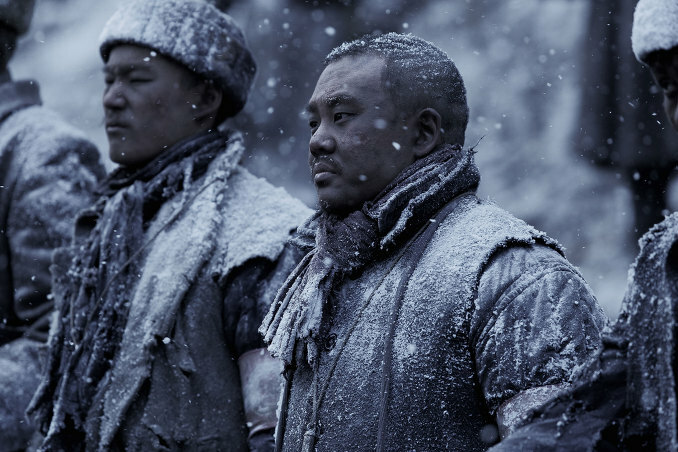 Prashast Singh Dec 13 2017 8:10 am Seriously the most underrated South Korean movie I've come across. More than war, it's a lot about human emotions. It's packed with a lot of jaw-dropping action sequences and visual effects. The cinematography is excellent. Jang Dong-gun and Joe Odagiri were so natural that I felt they were not acting but rather "living" the characters. The climax had me crying. It's a kind of emotion which can't be described in words, when your enemy cries for you. I was shaken to the core. In my honest opinion, the film is EXCELLENT and entertains 100%. Dominic Tugonon Jan 07 2017 12:45 am To Director Kang Je-Gyu - You Made Me Just Loud & Proud Being An Asian. Indeed, The Most Powerful War Since "Saving Private Ryan," - Well Said!!! 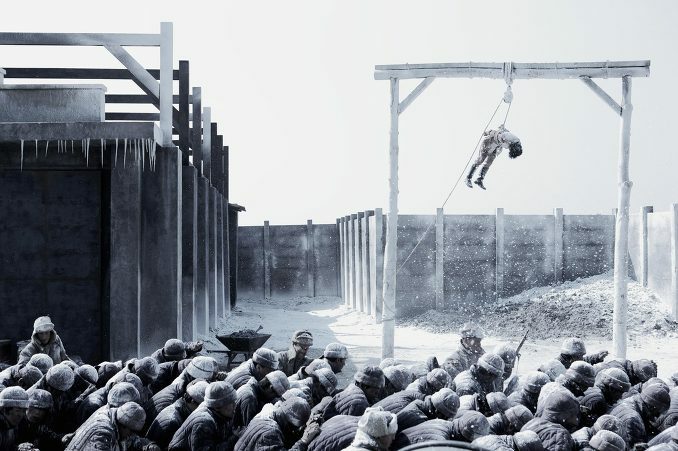 Aj May 12 2015 6:55 am Terrifying, tragic, brilliant, and beautiful--proving once again that great Korean films hold their own with any in the world. chessir Feb 21 2014 8:35 pm there are too many jump cuts. its dizzying almost like a transformers film. it seemed like antijapanese propaganda the whole time. i enjoyed tae guk gi but only barely because of its unrealistic-ness. with this film i realize that although korean war films get theviolence and blood accurate they always have combat performed by some unkillable heroic protagonist which takes me out of it a bit.i give this a 5/10. eilene crosier Jan 03 2014 8:15 pm What was the event that tatsuo raced in at the end of the movie? Eloy Perez Mar 15 2013 10:31 pm What is the name of the song at the end of this movie and who performed it? Jason Dec 31 2012 1:50 am Am I the only one who can`t seem to see the full plot? LR Childs Dec 30 2012 1:11 am I am a a history nut and love war movies that the story is true is always a bonus to me. That being the case i loved this movie to the point that i found myself wishing i was duped by this story as i was totally taken in by the story. The parts i thought were fake were (Para-troopers dropping) at the moment of death by a main character . But i didn't mind as in order to tell a good MOVIE you must change up the timing of events and combine characters. Because of these two items moves are never 100 % true my rule is if a story is 80% true then the movie is worth making as a true movie story. This story was incredible at my 80% rule you have the potential for an execellent movie that is what you have here. I thought it was well acted and well worth my time and money. I will watch it over again. Thank for your efforts to inform and inspire us a movie going public. Jeff Gawrys Dec 24 2012 12:04 am Has this movie been published in book form? If yes, how can I find it? I would love to own it.... Movie was 5 Stars... Great Movie - Inspiring! John Koster Sep 04 2012 1:00 pm This was an extremel;y good and important movie and the three principal actors were all superb. The ending was extremely touching and I watched it twice. Production values were excellent too. I just completed a non-fiction book which features a number of Japanese and Korean persons in the story of what happened to make Pearl Harbor happen called "Operation Snow: How A Soviet Mole In The White House Triggered Pearl Harbor." Nobody at the publishing house had ever heard of the battle of Nomonhan and you cannot imagone how thrilled I was to see it on film. What is especially touching is to see Korean, Japanese, and Chinese actors all working harmoniously in the same film with such great results. Jang and Joe were terrific and Fan is a real beauty. A first-rate effort, the greateest movie in the past couple of years. Robert Dean - Southern United States Aug 27 2012 10:03 am i rented the koren movie, "my way", last saturday. i loved the rivalry between the poor south korean runner, and the wealthier japanese runner! the korean won!. because he was accused of cheating, he was commissioned into the japanese army! the cinematography! the scenery! the realism of the battle scenes! my entire family is military! this is the greatest war movie ever made! hands down! i want you to thank the 2 main actors for me! and, the director! and, thank everybody involved! my brother in law, adam lanning, was a jet pilot in the u.s. air force for 15 months in the korean war! i love the vietnamese, chinese, and korean peoples! this movie deserves every single oscar! w fong Aug 24 2012 3:24 pm Read your history books. Atlease six Ost battlion troops were captured in Normandy. Some sent back to USA as POW'S. Use mainly not as non-essential frontline troops due possiblty of high desertion rate. They did non-combat work which allowed for more loyal Germanic troops to face Allied invasion. Most were Russian Asiatic Siberian troops captured in the Russian front. They were already considered dead by their nation and families. Many Koreans were sent to areas of Japanese conquest in WW2. Many natives executed and butchered captured prisoners in Borneo, China, Indonesia, Malaya and Phillippines. It maybe a true story- but loosely written like Saving Private Ryan. There was a German machine-gunner for killing or wounding 2,000 US troops on Omaha beach. He was called Beast of Omaha. Interesting story and possible. Even Himmler's elite SS had non-aryans in their ranks at end of war. Bridgette Aug 08 2012 9:22 am Is there a book based on this movie.... ??? Henri Aug 05 2012 8:16 am To all people that found this movie to be nonsense or "dumb," I provoke and tell that, every part of this movie; The Action, The Drama, The Cinematography and Background music was all very good. The fact that that korean actor Jang Dong-Gun could pull of all those sacrifices just to help is rival is just very emotional. nyindallas May 20 2012 10:30 am WW2 films are a passion to me. I actually enjoyed this film. 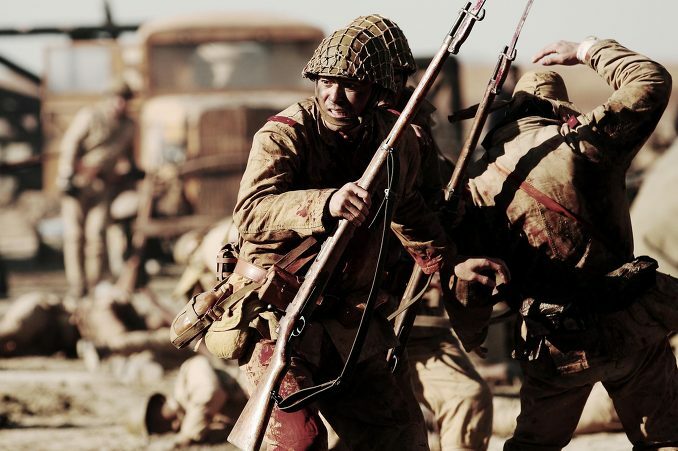 It dealt with an aspect of the war that we typically do not see in mainstream WW2 films. Battle scene attacking the Germans reminded me of Enemy at the Gate. Wish they did not fast forward the 3 years leading up to Normandy. Also, the B17's did not come close to hitting targets before the landings. Who cares about these details. I enjoyed it and will be happy to add it to my WW2 film collection. moobcinos May 13 2012 3:42 am movie was alright, not bad, but not as good as i thought it would be. What really surprised me was Kim In-Kwon's performance. I was really skeptical about him at first, and have never really been able to take him seriously, and i thought he would make the film worse. boy was i wrong. None of the acting in this movie was bad and everyone generally acted well, but Kim In-Kwon really stood out. His character was one of the two characters (other being Odagiri) who had drastic character development, and not once in the movie does he remind you of the roles he is usually typecasted as. nunya Apr 24 2012 6:19 pm kim in kwon, did a great job... quit crying before you even see the movie... Solid film and fantastic performances all around. sammy Jan 04 2012 1:05 pm @Garanchou the movie is loosely based on a true story. Kyoungjong Yang was conscripted to the Kwantung army in 1938 and captured by the Soviets in Nomonhan and captured again by Germans in Ukraine in the summer of 1943, maybe in the battle of Kharkov, and captured finally by Americans in Utah beach, Normandy on June 6, 1944. 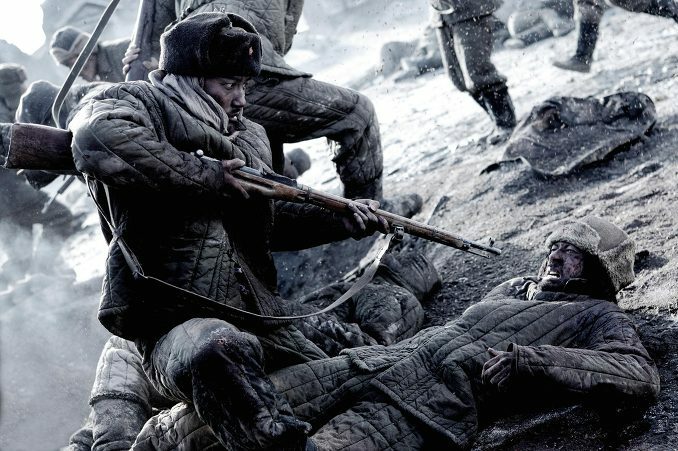 Most Koreans weren't willingly to fight for Japan and chose to fight for the Soviets...I not sure but he could of been captured in the Battle of Lake Khasan or the Battle of Nomonhan. But for all we know he ended up in D-day...you think its impossible? thats a laugh for you are not a true expert of WWII unless you actually been there. Garanchou Dec 27 2011 12:40 pm "The structure of Joon-Sik’s journey is non-fiction". Unbelievable. This is obviously fiction. All Japanese soldiers captured in Khalkhyn Gol battle/Nomonhan incident have been exchanged in 1939-1940. Moreover, it was impossible that former Japanese soldiers (even ethnically Koreans) have been conscripted in Soviet Army in 1941 and 1942. IMPOSSIBLE! Of course, this kind of story looks very attractive, but it's impossible. Ki Dec 21 2011 3:55 am I don't think MY WAY is going to be a film people call a "classic," though there is a strong story that exists under the movie's over simplification and comic book like portrayal of good and evil. 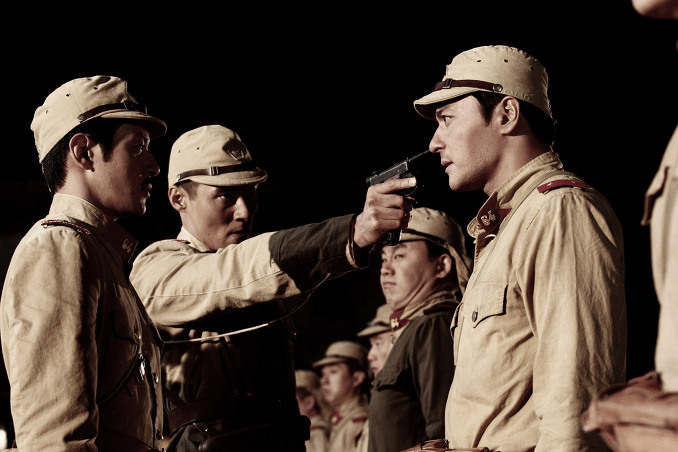 What MY WAY has going for it is the "loosely" based-on-a-true-story screenplay that details a Korean man conscripted into the Japanese army during the onset of WWII and then finding himself and his Japanese military rival both conscripted into the Russian army. The story doesn't stop there as they join forces with Nazi Germany for basic survival and eventually find themselves on the shores of Normandy when the Battle of Normandy occurs. Along the way, as stated earlier, characters are clearly delineated between good and evil and the movie doesn't bother with shades of grey. 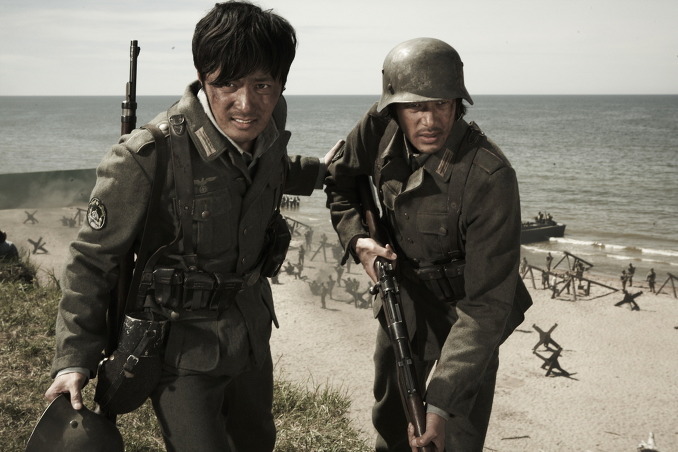 The movie does have two characters, played by Joe Odagiri and Kim In-Kwon, who experience personal changes through their war experiences. This part is really weak due to the movie's comic book like treatment of their character development. 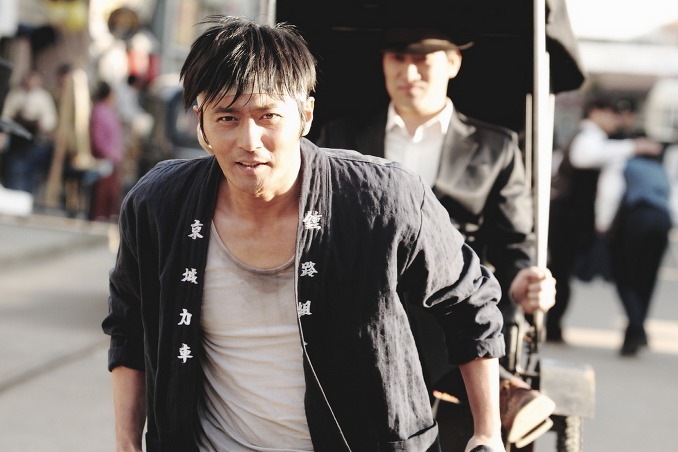 The biggest drawback for the film for myself is the main character played by Jang Dong-Gun. His character comes off as a cross between Jessie Owens, GI Joe, Jesus Christ and Mother Theresa all rolled into one. The guy has absolutely zero flaws! He was so perfect that I actually found myself rooting against him midway through the movie. On the plus side, MY WAY does feature great looking battle scenes and carries the look of a high budget film. As stated earlier, the story is pretty incredible in its own right. Ultimately, I think MY WAY will appeal mostly to casual movie goers, a movie to watch on an international flight or an entire family gathering to watch something that will elicit emotions and doesn't require a lot thinking. With that said, movie fans hoping for a classic or something with more substance will likely find themselves disappointed. moo Oct 07 2011 4:33 pm odagiri's performance looks rich and complex.